Are you concerned about the drinking habits of a loved one or family member? Read here to learn the signs of alcoholism so you can determine if someone in your life needs alcohol rehab. Alcohol is a dangerous thing. Widely accepted by the majority of society, and endorsed by the governments of the world, it’s a powerful drug. The addictive nature of alcohol can be a perilous addiction, one which can leave your loved ones on the wrong side of the bottle. When you can see alcohol affecting somebody close to you like a loved one or a family member, all you want to do is help them. But there is a problem. Understanding the signs of alcoholism can be tricky. It’s very easy to overstep the mark and confront somebody about their drinking habits, only to find that alcoholism isn’t their issue, but something else is. To help you better understand what the signs of alcoholism are, we’ve put together this article so you can learn and understand the effects of this powerful drug, and hopefully help your loved ones in the process. Is Rehab a Good Solution for Alcoholism? 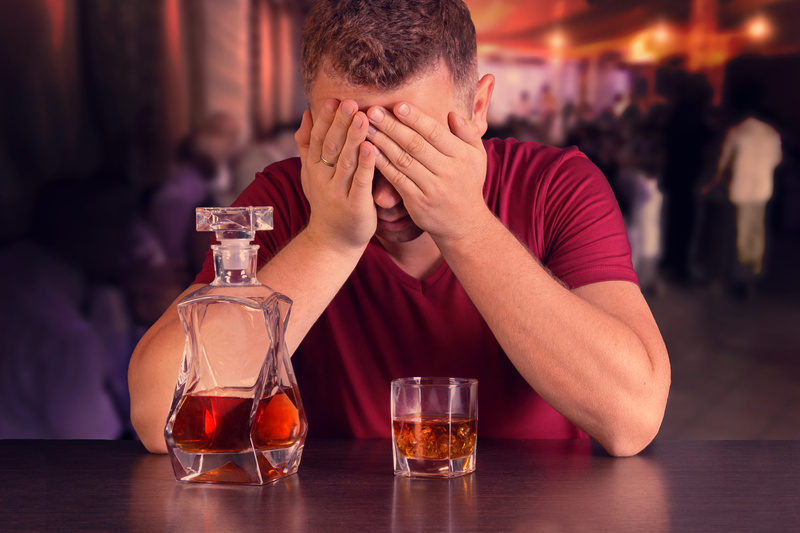 Does Your Loved One Display Any of These Signs of Alcoholism? In the US, annually we see an estimated 88,000 people die from alcohol-related causes. That’s a staggering statistic. On top of that, you also see more than 10% of children live with a parent with an alcohol problem. When faced with alcoholism, many people feel like rehab isn’t an option they need to consider. Either their drinking problems ‘aren’t that bad’ or the knock-on effects that seem to keep happening aren’t related to alcohol. Whatever the situation, it can be hard to know when behavior can turn into an addiction. It’s equally as hard to know when you should be asking for help. To help you better understand the signs of alcoholism, we’ve put together this list of the different signs and stages of alcoholism you may start to notice about a loved one or family member. It’s common for many suffers from alcohol addiction to be aware of their addiction and not make it known to other people. It may be a sign that their drinking habits are something to worry about. It’s hard as an outsider looking in to get a whole picture of the situation. One thing that is uncommon though is for someone who is not struggling with drinking alcohol to worry about if they might have a problem or not. If a loved one has confessed, then you may have concerns about their drinking habits. This might be a sign of alcoholism. When it comes to wild nights out, it’s quite normal for you to hear tall tales of wild adventures and outrageous events. What you should have concern over are blackouts. If you are hearing regular stories of your loved one blacking out from drinking, that’s a concern. You will often find the person involved can try to justify not remembering the whole night or even some of it. Remember though, that somebody who has a healthy relationship with alcohol doesn’t ever experience blackouts. The reason for this is they don’t drink to excess and lose the memory of the evening. If you know that blackouts are a common experience for your concerned loved one, they may need treatment. One of the other ways you may be able to tell that someone has signs of alcoholism is if other people have a concern about these issues. When you are suffering from alcoholism, listening to your loved ones can be hard, but can be the way to see what is happening to themselves. If important people in your loved one’s lives are expressing concern about their drinking, it’s usually not done without a reason. You should try and help your loved one listen to these concerns, and get them to review their drinking. Try and help them understand why people have made those concerns. Alcohol causes a lot of problems to the body. In 2015, doctors attributed 47% of all the liver disease deaths to alcohol. But alcohol not only causes injury to your body internally, it can also cause external injury. If you know that your loved one has injured themselves — or somebody else — while drinking, that could be a concern. Anything from physical disagreements, falling, hitting a body part, and bruising themselves are all signs that their drinking may be out of control. If you are aware of both blackouts in conjunction with your loved one hurting themselves, then this can build to make a dangerous situation. Alcohol is a very powerful mood and mindset altering drug. It can cause people to take actions that they usually wouldn’t take. This includes everything from violence to falls that cause injury. Consider suggesting detox methods. A telltale sign of alcoholism is when your loved ones begin to, or continuously miss important events. When drinking, it can be hard to show up for events that involve friends or family. This is a concern as it means that drinking is taking priority over other important matters in that person’s life. Whether this is from missing an important event, or something else, it can be a concern. Whether the event was a wedding, a child’s sports day, a piano recital or just a birthday party, missing any of these events can be a sign that they may need treatment for alcoholism. One of the biggest signs of a drinking issue is when negative consequences start appearing. Your loved one may not see this as a direct link from alcohol. Usually, as a bystander, you can see these negative consequences mounting up on your loved ones. This can make it difficult not to take action or say something. However, confronting these issues head-on does not always have the desired results. With consequences varying from getting in trouble with family or friends, serving prison time or getting arrested, becoming involved in crime or fraud, getting your license taken away or losing a child custody battle. If your loved one had a healthy relationship with alcohol, they wouldn’t be experiencing these negative consequences like those above. Drinking can be all-consuming, taking over the lives of our friends or loved ones. This means that they leave responsibilities thrown in the gutter. This can vary from simple noticeable things like neglecting their appearance or hygiene. It can also affect things like the appearance of your car or home and other important aspects of their lives like sleep and eating. All of these factors can contribute negatively to their general health. That’s why it’s so important to tackle alcoholism. If a person starts to neglect their primary life responsibilities, like eating or sleeping, it can have dire consequences. It’s at that stage that they would require an intensive outpatient program. When it comes to communicating with friends and family, you’d like to think most people could be honest. Unfortunately, one of the negative side effects of alcoholism is that people can lie or cover up events that happen. From denying drinking to avoiding responsibility, this can be a major sign of alcoholism. If you’re finding your loved ones first reaction when speaking with yourself or other people close to them is to lie, you may find that drinking is the problem. If you are finding that a loved one is lying about how much they drink, how often they are drinking, or to what degree this is a pretty worrying sign of established alcoholism. When tackling alcoholism, it’s important to make sure your loved one doesn’t feel ashamed, scared or guilty to share their drinking habits with you. You may have noticed this happening, which is why you’ve come to this article. Isolation from yourself, friends or family is a very well known universal sign that your loved one has made alcohol their number one priority in life. Addiction is very dangerous and can make your loved ones feel alone, feeling like no-one could understand and that they need to be in private, alone. If your loved one’s drinking has reached this level, they are in desperate need of help. Remember that treatment of alcoholism is available and you help your loved one get help. Remember, that as family or friends, we can sometimes overreact over signs of alcoholism, and it’s important to establish all the facts before taking action. You may still find that your loved one needs help and if that’s the case you should make sure to take action. There are charities for alcohol and drugs you can reach out to for support and help. For more tips on how to live a healthy life, check out our other posts.